ATLANTA -- A handgun was found in a student's book bag at Benjamin E. Mays High School on Friday, Atlanta Public Schools officials confirm. According to Atlanta Police Sgt. Warren Pickard, a teacher was picking up backpacks and jackets in the gym. A student ran over and tried to grab one of the backpacks from the teacher. When the teacher asked to student to release the backpack, the student refused. In an ensuing struggle, the student allegedly punched the teacher several times. APS officials and Atlanta Police officers arrived to help the teacher. When the student's bag was checked, the weapon was found. APS spokesperson Latisha Gray said the student was immediately detained and removed from campus. The student was taken to Metro Juvenile Detention Center. The student is facing assault and weapons possession charges. School operations resumed as normal, Gray said. ATLANTA -- ONE Musicfest, in partnership with Live Nation, announce the 2015 music lineup for one of the most anticipated festivals to take place in the Southeast. Reaching its sixth year of bringing together the best of urban alternative legends and contemporaries for a unique experience through music and visual, ONE Musicfest is pulling out all the stops with this year's roster of performances. Organizers have meticulously curated talent to include Ms. Lauryn Hill, The Roots, A$AP Rocky, Wale, Janelle Monae & Wondaland, Raekwon, Ghostface, The Internet, Raury, SZA, Scarface, 8Ball & MJG, Big KRIT and many more to be announced. ATLANTA -- A woman was in stable condition after being shot in the leg Tuesday morning. The shooting happened at around 12:30 a.m. at the Providence at Cascade Apartments in the 300 block of Fairburn Road. Atlanta Police Capt. Terrell Griffin said the 19-year-old victim was inside her apartment when shots rang out nearby. The woman told investigators a bullet passed through her front door and struck her in the thigh. The victim was taken to Grady Memorial Hospital for treatment. No suspects have been named. Griffin said police spoke with a security guard, who told them of a dispute that happened Monday in the same apartment building. Investigators are working to determine if the argument and the shooting are related. ATLANTA -- A young mother got into an argument with her boyfriend and stormed out of his southwest Atlanta house. She never returned. 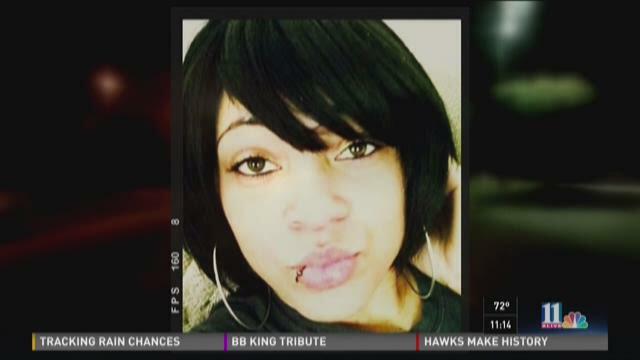 Four years later, loved ones are desperate to solve the mystery of what happened to Athena Curry. Athena Joy Curry was born Nov. 2, 1990, in Oregon, the youngest of five children. She moved to metro Atlanta as a teenager to live with her sister, Aisha Magee. After graduating from high school, Curry enrolled in the University of Phoenix. She dreamed of becoming a pediatrician, according to a website dedicated to her case.